It’s no secret that one of my favorite holidays is coming up—St. Patrick’s Day. As far as I know, I don’t have a drop of Irish blood in me. But it’s such a joyous holiday. It’s not just about going out and drinking. (Though I do love a good creamy stout.) It’s the parades, the feeling of community, and let’s not forget about the dancing and music. I love to watch those Irish dancers—so amazing. I live in a house named after the Irish town where the original owners came from—in fact when the came to the U. S. , they took their beloved town’s name as their own surname. Kildare House, where we have our retreats, is a magnificent sprawling home. And I think about the original owners of it almost every day—especially when I pass by the stained glass window looking over the stairs. It’s a depiction of the Goddess and/or Saint Brigid, depending on which version you believe. Personally, I like the idea of both. 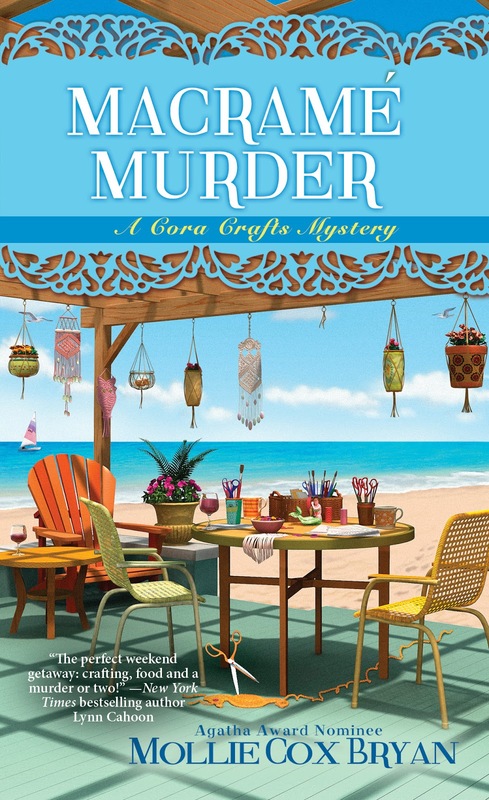 But you know I’m a crafter and the Irish are known for their weaving and lace making, along with some other crafts. The Irish have a an ancient tradition of weaving. Of course you don’t have to be Irish to weave from their patterns or with their wool. One quick Internet search will show you that. It’s the same thing with lace and patterns. Irish lace has an interesting history. During the famine, one of the ways the church responded was to set up training centers. The teaching nuns knew the old lace-making techniques, methods from all over Europe. They taught lace making to wives and daughters of men who were unemployed or underpaid farm workers, as a way to earn money. The intricate Irish lace grew to be a unique form. Some artisans in Ireland still make it using the old techniques. But much of Irish lace is machine made today. For me, it’s worth seeking out the handmade lace. In fact, I’d love to have an Irish lace maker come to one of our retreats. Wouldn’t that be fun? 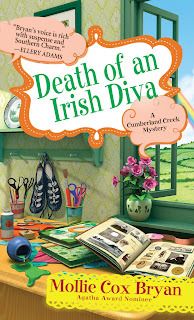 Speaking of all things Irish, Death of an Irish Diva (e-book version) is on sale for 99 cents! 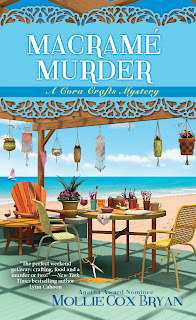 Both "Macrame Murder" and "Death of an Irish Diva" are books I'd love the chance to read. May your St. Patrick's Day be green! 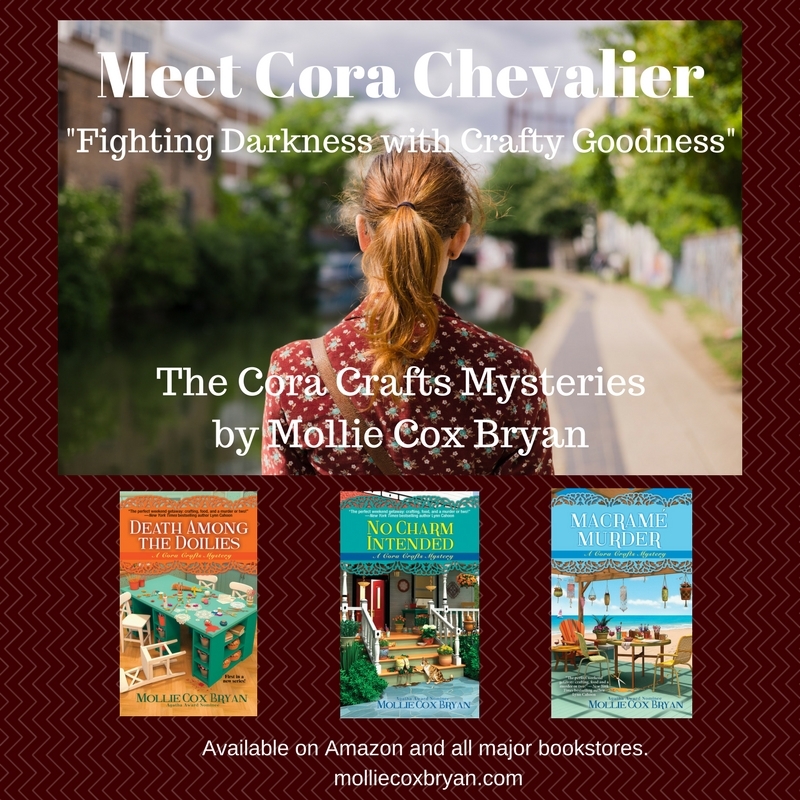 I love the Cora Crafts series! I haven’t tried the Cumberland Creek series...seems like now is a good time to start it!